Snapchat is looking to build its own "internal app store" of gaming titles, according to a new report out today from The Information. The platform is set for a tentative launch sometime this fall, and will allow outside developers to build games that Snapchat then distributes for users to play within the Snapchat app. 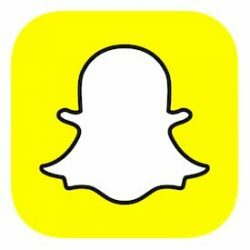 People familiar with the company's plans claim that Snapchat has already lined up one gaming publisher to make a new game for Snapchat's app store. Unless every game is completely free, it's unclear how the company plans to succeed when Apple has strict App Store guidelines that prevent companies from selling apps, games, and other content in their apps that aren't designated in-app purchases. The company is preparing to launch a platform this fall that will let outside developers create games to be played through the Snapchat app, according to two people familiar with the matter. It is relying on outside developers to build the games that could be downloaded in an internal app-store of titles. The gaming platform has been in the works for at least a year as the company has worked on the platform’s technology, according to a person familiar with the effort. Recently, Valve had trouble with Apple's policies in this regard, after trying to get its Steam Link app on the App Store, which would have let users purchase games within the app. After Apple rejected the app, Valve removed game purchasing as an option from Steam Link and has resubmitted it for approval to Apple. Now, when users see a game in the app Valve points them toward a Mac or PC as places to make their purchases. For Snapchat, the deeper foray into gaming is believed to be an attempt to further distance itself from rival Instagram, which has copied a few of its features over the years and eventually became more successful than Snapchat in regards to the 24-hour "stories" feature. However, one source reportedly suggested that the gaming platform is still "more experimental" at this point than a central business effort by the company. Earlier this year, the company expressed interest in gaming on a small scale with the launch of "Snappables," Snapchat Lenses that are interactive and let users play AR games with friends. Many social-focused apps have tried out gaming experiences in the past, including Facebook, Facebook Messenger, and Apple's own iMessage through the launch of the Messages App Store in iOS 10. Does anyone want this? What are they thinking!? They're thinking "Let's throw everything into the water to see what floats because this ship is sinking fast." I really hate this company. More reinforcement. And they're still worth $13Bn. And they're bleeding money, mostly going to the CEO's salary. They're worth at most $1Bn, and that's if someone buys them later. I want to short sell the **** out of it but don't have an account set up for that. But Apple doesn’t allow apps to have their own app stores in their apps? I don’t use Snapchat but I hope they successfully challenge Apple’s control of iOS apps. I was traveling recently and my phone required me to re-enter my iTunes Store (App Store) account password in order to use any of the third party apps that were installed. Firstly, I resent that my purchased apps aren’t available to me unless I have an active connection to the app store. Now imagine this. I have a strong password for my Apple ID and iTunes Store accounts. It was generated by my password manager, 1Password. It’s not one I can memorize. The rub is, I couldn’t retrieve my store password because 1Password is an app that also requires me to be logged into the app store! Motherf****r! I had to call Apple Support and change my password in order to use my apps. Afterwards, I had to save my password in a Note to avoid this inconvenience, defeating the purpose of a password manager. Did you have "Offload Unused Apps" enabled and then tried to run one that then needed to be reloaded?